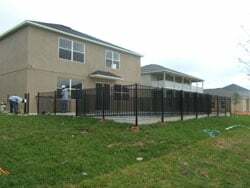 AT SUPERIOR FENCE & RAIL OF ORLANDO, we offer expert installation throughout the Central Florida area by our own professional installers, not independent subcontractors. 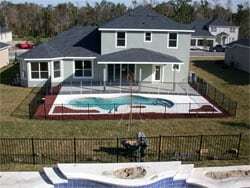 We stay true to our name by providing superior fence installation in Orlando and other cities in Florida. Whether it’s a residential or commercial property, we have a team of skilled installers that can handle the project efficiently. Our conscious effort not to hire subcontractors is our way to maintain a high standard of workmanship for our installation services. Since we trained all the employees in our team to observe high quality at all times, you can expect a fence installation service completed proficiently and in a timely manner. Every foreman is a professional in the industry with a commitment to our company and to our customers. Each of our installation crews is familiar with locating property pins to determine boundaries, setting lines and heights for aesthetic appeal, and of course, cleanup of every job site. We have found that there is no substitute for experience and knowledge when unique conditions call for the on the spot decisions to be made that will affect the character of the project. So, we ensure that all our installers are constantly trained and updated with the latest developments in the industry. Moreover, we only hire new employees with skills at par with our high standard of workmanship. All of our installation teams work from a fully equipped truck with all the latest tools to ensure the installation goes as smoothly as possible. maintain good communication with the clients to make sure that we meet your unique fencing needs. For your peace of mind, our company, as well as our employees, is licensed, insured, and bonded. This means we guarantee that our installation team won’t harm you and your property in any way. In case something gets damaged during our service, expect that our insurance will cover the repair costs. We stand behind the superior quality of our installation services. For this reason, we provide our clients with a three-year workmanship warranty on our fence installations in Orlando and other parts of Florida. This assurance is on top of the lifetime warranties we offer for the fence products we manufacture. Apart from our quality work, our company is known for having extensive service locations. 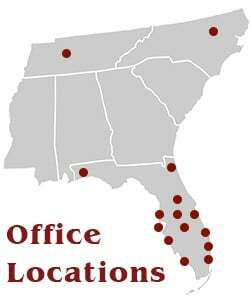 With our locations and franchises all over Florida, you can easily access our superior installation services. So wherever you are in Florida, we are just one call away from keeping your property protected with installed quality fences. Call us today for any questions you may have. Or, fill out our free estimate form to get started.